Crystal Model Set contains different coloured jacks like (Red , Black & White) & connectors (long & short) in a prescribed number to be joined together in an illustrated way to form structures like Diamond, Graphite & Sodium Chloride. 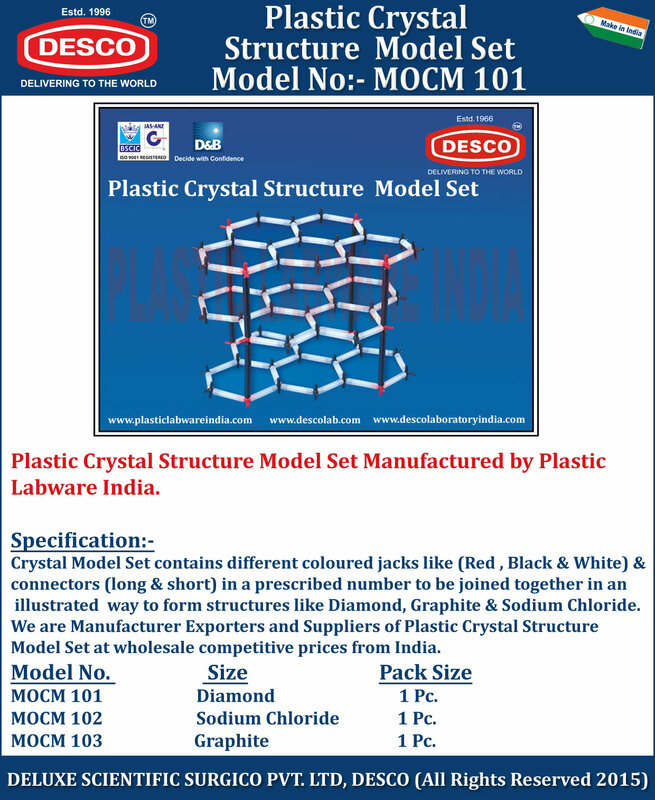 We are Manufacturer Exporters and Suppliers of Plastic Crystal Structure Model Set at wholesale competitive prices from India. MOCM 101 Diamond 1 Pc. MOCM 102 Sodium Chloride 1 Pc. MOCM 103 Graphite 1 Pc.